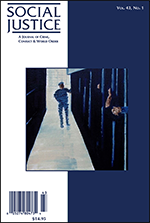 This article offers an overview of the current domestic war on drugs in the United States and the subsequent mass incarceration of individuals. The domestic and foreign drug policy fronts are compared by focusing on Plan Colombia. The cornerstone argument is that a “global war on drugs” is occurring with very similar characteristics to the domestic war on drugs. However, entire countries are being incarcerated in the wake of the “global war on drugs,” with much larger implications.